I used to look at houses like this one from the train: behind the ivy-covered embankment, their London brick, sash windows. That was on the Euston approach. The back of this flat – that is, the bedroom, the bathroom and Edwyn’s study – looks out on the overground line, just past West Brompton. The opening of First Love is quite an ingenious initial insight into the world of Neve whose life story we are thrown into. She is not only looking out on others wondering what they might see if they looked at her, she is also looking at the patterns of her life and how they are reflected from a girl looking in to being a woman looking out. Sorry if we got a little deep here but we get deep into Neve’s life just as quickly as we soon discover that she is married to Edwyn, of the study, an older man who seems to be suffering from some form of sickness. We also discover that the married life she has might not be the one which she was expecting and the cracks behind the veneer which within four pages are shrugged off. Lately it’s the round of coughing in the hallway that lets me know he’s home. I go out and meet him, we have a cuddle, and then I look at the Standard while he gets changed. We don’t talk much in the evenings, but we’re very affectionate. When we cuddle on the landing, and later in the kitchen, I make little noises – at the back of my throat, as does he. When we cuddle in bed at night, he says, ‘I love you so much!’ or ‘You’re such a lovely little person!’ There are pet names, too. I’m ‘little smelly puss’ before a bath, and ‘little cleany puss’ in my towel on the landing after one; in my dungarees I’m ‘you little Herbert!’ and when I first wake up and breathe on him I’m his ‘little compost heap’ or ‘little cabbage’. Edwyn kisses me repeatingly, and with great emphasis, in the morning. There have been other names of course. It soon transpires that Edwyn is not just physically sick but possibly mentally too he doesn’t just have outbursts of verbal anger but also physical abuse, though it is the verbal to which he is most prone and is actually the more controlling. We quickly switch back to Neve’s younger years back in Liverpool where her father used to abuse her mother, something Edwyn knows and belittles – I know, he’s utterly vile. Yet where her mother also used to send her to once they had split up to ‘keep the peace’ even after her father assaulted her brother, where she gets to hear her father and his friends berate and demean women. Leading the reader to wonder if this is why Neve is so passive in her relationship with Edwyn, is it because it is what she was expecting and what she was taught about the value of her own worth? If this sounds somewhat all over the place and slightly confusing it is because that is how Riley wants you to feel. These are snippets of memory, sometimes coming in a jumble or linking up in strange ways in a woman’s life. They continue in the second part of the novel, of which there are three, when we are taken to two periods between those years after her parents splitting up and before Edwyn. The first, living with a friend in Manchester where an ex-lover gets back in touch when he is back in the area; the second, which could be earlier or later, in Scotland when her mother comes to visit after the separation of her relationship after the one with Neve’s father. Still with me? It is through this section that we begin to see how the situations of Neve’s past, using exes and abused yet demanding mothers, have led to her being in this relationship with Edwyn. Yet I spotted a few things that made me start to consider Neve in a slightly different light. Firstly, there was the abandonment of a friend who had let her live with her pretty much rent free for a long as she liked, without thanks or even any notice. Without a care in fact, quite coldly. This then made me reread some of the sections with her mother where I started to reread it less as the mother as the monstrous matriarch and more as the abandoned daughter who really just wanted, well needed as she comes across so needy at times, her daughters love, approval and opinion. I mean look at the end of the response to her mother being persona non grata, ‘That’s nice.’ Hmmm. Then I did the same with the relationship with her ex. And then her relationship with Edwyn. At first I have to admit I was really quite bemused by First Love and didn’t know what I should make of it. I then had some cracking chats with my lovely booktube pals Lauren and Lauren about it who both also read it in very different ways. Since those chats and having some time away from it, the more and more interesting and clever and twisty I think it might be. How amazing that a book can be read in such different ways due to some subtler moments here or there. 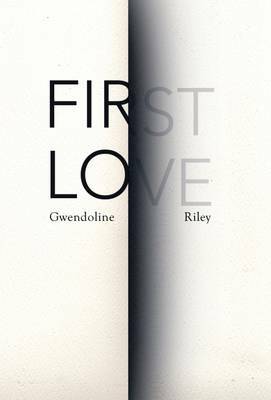 Gwendoline Riley shows with First Love that with subtlety and brevity you can still create the most complex and claustrophobic of characters and atmospheres. I shall have to read more of her work, and possibly this novel a few more times to find out which story is true. Have you read First Love and what did you think of it? Which version of the two potential ways I have read it did you read it? Am I mad thinking it can be read in such different way? Have you read any of Gwendoline Riley’s other novels and if so where should I head to next? 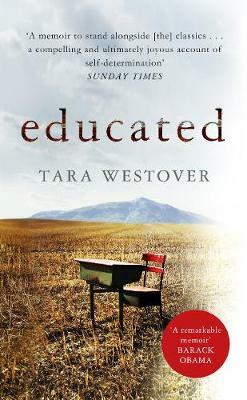 If you haven’t read it I do urge you to get a copy as I want more people to talk about it with. You can get a copy here.